Fight Child Protective Services...And WIN! The seminar was very informative. I only wish the seminar had been sooner! The most important thing to me was that Mr. Davis took the time to answer questions, and he truly listened. Thanks to Attorney Davis for all the information my family received from the seminar. The time seemed to fly by and Mr. Davis answered all of our questions. We are in the battle of our lives with child protective services, but Mr. Davis pointed out many things we could do to have a fighting chance to win. It was great to know that, without financial resources, we could change the outcome by following his advice. Thanks again for taking the time to speak with everyone individually after the seminar. Mr. Davis is very informative. I loved the seminar. Mr. Davis’ demeanor and mastery of the subject matter reaffirms my decision to engage his firm. HAS A SOCIAL WORKER STOLEN YOUR CHILDREN OR TREATED YOU UNFAIRLY? How To Fight CPS And Win! GET: The Secret: How To Fight CPS And Win! Get Your Kids Back Now! “Juvenile Dependency Defense Lawyers” are EXACTLY the type of lawyer you need when Los Angeles DCFS social workers, or social workers from any Child Protective Services (CPS) agency are investigating you, are trying to take your kids, or have already removed your kids. Any mom or dad would agree that there is nothing more valuable than one’s children. The fear of losing a child to a DCFS CPS social worker is the worst possible fear. More crippling than “fear” is coming home from work or the market to find your child not home and a form on the door informing you a social worker went to your child’s school and stealthily took your child. Taking your kids based upon an anonymous caller’s complaint is commonplace. An ex-spouse, boyfriend, girlfriend, a neighbor with a grudge — ANYONE — can make an anonymous phone call to a DCFS CPS hotline. One common accusation is witnessing a parent or guardian spanking a child which is considered ‘inappropriate discipline’ by most social workers. Another regular accusation is that smoking marijuana was observed around the child, or in the child’s home. ‘Drug use’ equates to an unfit parent. If you are here reading this, the details are not critical. What you do immediately is critical! If you are wrongly accused, you’re still at risk of having your kids removed from your care. If you’re being investigated unfairly, and think you have nothing to worry about, you are SO WRONG. You must consult with Juvenile Dependency defense lawyers immediately. Read what happens to people just like you, who did nothing wrong, in our radio show caller transcripts HERE. Even if you did spank your child or did smoke pot, should your children be physically removed from you by “the State?” Unfortunately for parent’s rights, DCFS social workers have the power of government behind them – as do police officers. Many social workers have personal agendas that are not friendly to moms and dads. Many social workers take drastic, life-altering actions without having any verifiable evidence. Their rationalization is analogous to that famous saying: “It’s better to ask forgiveness, then ask permission.” A social worker may decide that the severity of anonymous caller’s accusation gives them permission to go to your children’s school and take your children. Once your children are swept up by DCFS CPS social workers, you will be endlessly entwined in a bureaucracy of red tape that no one should every have to navigate. Moms, dads, grandparents, and even ‘regular lawyers’ are not equipped to deal with the complexities of the awful Juvenile Dependency system. Be PROACTIVE… Inquire with Juvenile Dependency defense lawyers ASAP. If you can get ahead of a DCFS investigation to where your kids are not removed, you could save years of frustrations and emotional pain for you and your child! We kid you not… We have clients who haven’t had their children returned to them for a year over unsubstantiated, anonymous, accusations. When you look up RED TAPE in the dictionary there should be a picture of a Juvenile Dependency Court. 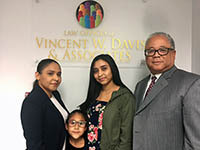 You will find Vincent W. Davis, and many of his associate Juvenile Dependency defense lawyers, defending parents every court day in Juvenile Dependency Courts throughout Los Angeles, Orange County, Ventura, Santa Barbara, Riverside, San Bernardino, and San Diego. These Juvenile Dependency courts are unlike ‘regular courts” that regular people –or regular lawyers– ever set foot in! These are special courts, with special rules, that require special lawyers with at least a decade’s experience just to know how they work! Every so often, we will witness, an otherwise experienced ‘regular family lawyer’ with the ‘deer-in-the-headlights’ expression, shaking their heads, obviously baffled by what just happened to them and their client in a ‘strange’ court hearing. These ‘regular lawyers’ assumed all California courts work the same. They do not! Vincent Davis helps families. If your child has been removed from your home and has been placed in foster care by Child Protective Services (CPS) or Department of Children and Family Services (DCFS), because you have been accused of child abuse, neglect, drug use, etc., we may be able to help your family reunite. If you want to get custody of a grandchild or other family member who is currently placed in foster care we are here for you as well. There is no one more passionate and involved in Juvenile Dependency cases in Southern California than Vincent W. Davis. Vincent, like many other lawyers, had no idea there was such a thing as a Dependency Court where the fate of kids and their parents or guardians were exclusively battled-over every day – until one day 20-some years ago. At that time, Vincent Davis was a young lawyer working for a big firm, and out of curiosity took a sick day and went to a Juvenile Dependency Court and sat there mesmerized for the entire day. Vincent witnessed parents, grandparents, and even foster parents who were emotionally crippled by the processes that had befallen them. He also couldn’t help but see that some of the lawyers representing the parents seemed a bit “lost” and out of their element as if this court room were different than any other they had ever stepped foot in. In fact, Juvenile Dependency Court is unlike any other traditional court! 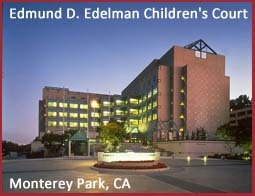 These special courts have procedures and processes a bit alien to any other court: so much so that many courts insist that lawyers who want to represent parents sign a “Certificate of Competency” document stating that they have Juvenile Dependency Court experience such as required in Ventura County Juvenile Dependency Court. Vincent was hooked -he found his “calling!” There was no looking back! He decided right then and there to become an expert in Juvenile Dependency law, so he could stand beside these grieving parents, grandparents, foster parents and other caregivers whose families had been torn apart by many of the people pointing fingers at them in that courtroom. Where there might be one or two parents — often like deer in the headlights — the county usually had several, cool, calm, well-dressed, credentialed, court-recognized professionals lined up against them. The teeter-totter was not balanced. Facing an Emergency DCFS CPS Dependency Hearing? If you have an emergency dependency hearing with Child Protective Services (CPS) or Los Angeles DCFS (Department of Children and Family Services), attorney Vincent W. Davis will prepare the necessary legal paperwork and be ready to help you on very short notice. Remember, there are very strict time limits that you must meet to take advantage of all legal opportunities for regaining custody of your child/children. Call Vincent immediately. DON’T TALK WITH DCFS SOCIAL WORKERS! If you have been contacted by CPS / DCFS and they want to set up a time to interview you, you need to take proactive steps to protect yourself and your family. We do not recommend talking with CPS / DCFS social workers without the presence of an experienced Juvenile Dependency attorney familiar with their unique process. Vincent Davis has handled more than 1,000 cases of Juvenile Dependency and is a renowned expert in and outside of the State of California. When your kids are at stake; when you need to make a choice, choose someone who lives and breathes Juvenile Dependency law; someone who understands the unique procedures and courtrooms; where without expert help you will be the victim of a complex system that is often hell-bent on painting you as a horrible parent; where getting your kids back under your roof is the last thing on their list: but is our first priority. We handle juvenile dependency cases for parents and guardians accused of child abuse and a variety of other charges that might be leveled against them by local, county Child Protective Service (CPS) agencies throughout California. Juvenile dependency cases are complex, emotionally draining, and absolutely unique when compared to any other area of law. Inexperienced parents and guardians as well as inexperienced lawyers who might venture into Juvenile Dependency are looking forward to some confusion and significant delay if you don’t understand the system. Many of those working against you have their own agendas. Often the underlying agenda of the county agency COMBINED with the less-obvious, subtle personal agendas of the various social workers all working hard to prove they are in the right and your children should be taken away from you for significant time or permanently. There is NO WAY a mom or dad, a grandparent, a foster parent or other guardian is equipped to take on this well-entrenched system that is staffed and operated by thousands of professionals. Yes, you can request court-appointed counsel to help you, but from (1) our experience, and (2) reports from hundreds of parents who have come to us after firing their court-appointed lawyer following months or YEARS of frustration, tell otherise. To a person, our clients claim that their court-appointed attorneys wasted MONTHS of their lives, MONTHS where their kids were housed — or permanently adopted — by strangers! Why parents fired court-appointed attorneys – At the bottom of this page are two more videos where Vincent Davis explains why many frustrated parents, desperate for real help, fired their court-appointed attorney and then hired Mr. Davis to get their kids back. Guilty of DCFS Claims – Accusations are True – Now What? If Los Angeles DCFS, Orange County, Riverside, San Bernardino, Ventura, San Diego CPS social workers have taken your child, and the claims or accusations against you are true, what should you do? We know what works. You need a plan. – Sometimes it is expedient for us to come up with a plan that the court will have no response other than to agree with us that “we too” hold the child’s best interest foremost – so that the court will allow your child to remain at home or be released back to you. This might mean that we quickly, quietly, and confidentially set up one or both parents in a treatment program such as substance abuse, or attend some appropriate weekly counseling. This demonstrates a willingness to be flexible and prove to the court we are acting responsibly to this situation. 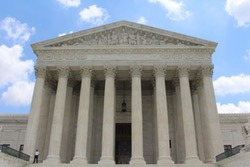 The court will usually agree with such a plan and then we will work to make certain that you make those meetings; that we meet the agreed deadlines; and that we do not miss any subsequent hearings. In other cases, we have found that having a grandparent or other close relative take charge of the child makes it possible for a child to remain in the family home. If the county has a strong case and is digging in their heels, it is sometimes a good choice to have grandparents or a close relative become the child’s legal guardian or even their adoptive parent. Any compromise like this may sting on the face of it, but the alternative is your child being in the custody of total strangers for years that can rip them from their familiar and comforting surroundings. Has A Social Worker Taken Your Child? Skilled Juvenile Dependency Defense Lawyers Can Help! Yes, Los Angeles DCFS social workers are known as more ruthless, less-forgiving, more-apt to act “in the best interest of the child.” And frankly, sometimes they are right. If a child were harmed because a social worker ignored a problem, we’d all be calling “foul.” And yes, many of my clients readily admit –confidentially to me– that they have been drinking more as result of a job loss or other situation. Juvenile Dependency ResourcesIf you or a family member are facing off with Child Protective Services Vincent W Davis is here to help!